“Oh, the theology at our church – what’s being preached and taught – is spot on,” she said. As she blinked back, I tried to explain. Our conversation was a hypothetical one, because I was merely visiting her city for my youngest daughter’s surgery so we wouldn’t be coming to their church anyway. But I’ve been turning our conversation over and over in my mind ever since. If your church is hearing the word but not putting it into action, then the Bible says you’re fooling yourself. And if you say you love your city but you’re willing to say no to people with disabilities – even knowing that nearly 20% of Americans have a disability, half of whom report their disability as severe, according to the 2010 US Census – then you’re deceiving yourselves. I’m not saying every church needs to put in place supports for every imaginable disability area. Our church, with a well-established special needs ministry, certainly doesn’t have that! I wouldn’t expect any new church to be fully equipped with how to support our family if we wanted to join. But I would expect, hope, wish, pray that they would be willing to love us enough to try to learn. And if they didn’t, no argument about the soundness of their theology would convince me that they were right. Because if the God you’re following and teaching about doesn’t compel you to welcome struggling families, then I don’t think we worship the same God after all. Shannon Dingle provides consultation, training and support to pastors, ministry staff and volunteers from churches requesting assistance from Key Ministry. In addition, Shannon regularly blogs for Key Ministry on topics related to adoption and foster care, and serves on the Program Committee for Inclusion Fusion, Key Ministry’s Disability Ministry Web Summit. 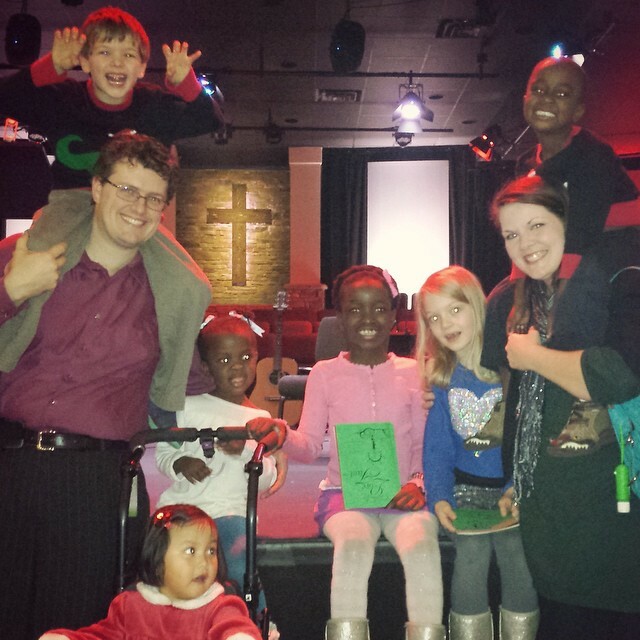 Shannon and her husband (Lee) serve as coordinators of the Access Ministry, the Special Needs Ministry of Providence Baptist Church in Raleigh, NC. This entry was posted in Advocacy, Inclusion, Key Ministry and tagged church, Disability Ministry, Inclusion, Shannon Dingle, Special Needs Ministry, theology. Bookmark the permalink. This is what I kept saying when the last church I went to tried to give me a contract that if I signed it was agreeing to continue to allow them to abuse me. Sadly, they violated the terms of the contract in such a huge way that I cannot ever truly get over the pain and the hurt. They talked so much about grace but when it came down to actually showing it to someone in need of it, they failed. AMEN again and again! May God Himself remove the scales from our eyes and hearts!! In what way did this church refuse to accommodate? What do you mean by “they wouldn’t say yes to families” like yours? As I said in the post, this wasn’t a church we attended or even visited but rather a conversation with a children’s ministry leader from a church in the town where my daughter was getting medical care. She said they didn’t have enough volunteers to support kids with disabilities in the general classrooms and they didn’t have space to have a separate class, so children with special needs – other than the most minor ones – wouldn’t be able to come. One of our children has cerebral palsy, which limits her movement significantly, and visual impairments and significant speech delays; in other words, she can’t move, see, or talk like other kids, and that means she needs extra support in Sunday school. This ministry leader said they just wouldn’t be able to give her that support because of their limited resources (despite being a large, well-funded church, so “limited resources” really meant “accommodating people with disabilities isn’t our priority”), so we would not be allowed to bring our daughter to Sunday school at their church. If you’re asking because this sounds unbelievable to you, you’re not alone. This seemed unconscionable to me when I first heard from a family who had been explicitly asked to leave a church. Now that I’ve served in special needs ministry for nearly a decade, I’ve heard dozens of stories like this. In some cases, families were told they couldn’t come anymore. In one case, a child sat in a corner and was ignored by the teachers and classmates from the time his parents dropped him off until the time they picked him up. In another case, parents told me of church leaders telling them “he doesn’t have autism, he’s just disobeying” and sternly told the parents that they needed to control their child’s behaviors before he could return. When one family came to our church for a respite night for the first time, I said, “I’m so glad you’re here!” She said, “yeah, all churches say that at first. If you’re like all the others, that’ll change.” Another mom who had been turned away by three churches before us texts me almost every Sunday morning before coming to church, to make sure they are still welcome to come; she’s been doing this for 3 years, still expecting that maybe this week is the week when we turn them away. I could go on, but my point is simply that some churches do say no to families like mine. Ours hasn’t (thank you, Providence Baptist Church, for loving us so well! ), but the situation happens more often than any of us would like to think. Thankfully, since I began serving in this area, the positive stories of welcoming churches have become far more common while the negative ones of families being turned away have become less so… but it’s still happening. My intention is not to diminish the fact there are problems in this area. My concern is that conversation stimulated by this kind of a post would tend toward stirring hostility instead of fostering the care that is needed to expand such ministry. It’s important to remember that what may seem like a systematic refusal to include those with extensive physical needs could be more of an issue of systematic ignorance of how to love and minister to those people. Whenever we don’t know how to do something, we can become fearful and obstinate. I know how I would respond if parent showed up to my Sunday School to drop off their child with cerebral palsy. I would ask them to stay with me so I can learn how to minister to their child. Don’t drop off the child with the assumption the volunteer will feel capable of dealing with needs they’ve never dealt with before. That opens the door to unnecessary conflict. Now, the parent may sense *some* resistance from the teacher even if they offer to help; but it will be far less likely that the teacher will refuse. Why not assume the resistance is based in fear of the unknowns? Anyone with the love of God in them will, after learning how to serve in that situation, contagiously serve in that area and be a catalyst for growth there. Love constrains the Christian with those needs to an openness to loving those who feel inadequate to the task the parent has been able to master. Again, perhaps the situation relayed in the post is as bad as it sounds, but I also know there are two sides. Ministry is messy, and not just for the ones who have special needs. Craig, I agree with you when you say this, “It’s important to remember that what may seem like a systematic refusal to include those with extensive physical needs could be more of an issue of systematic ignorance of how to love and minister to those people. Whenever we don’t know how to do something, we can become fearful and obstinate.” But I don’t think that’s okay. The thing that makes us fearful and obstinate is pride not ignorance. We can be ignorant and not respond in that way. You’re right that you enter partway into a conversation in this post. To give you more context, it was between a good friend of mine and I, with absolutely no hostility. It was a civil exchange, though we were both passionate at times but not rude or angry. But beyond that bit of context that might have been helpful, the rest is irrelevant. Whereas one church might turn away a child in a wheelchair, another might turn away a child with autism or a child with intellectual disabilities. Rather than setting up one scenario that could leave readers thinking, “Oh, we would welcome a child in a wheelchair, so we’re good,” I intentionally left that detail out because some churches are including kids with visible disabilities well – like my youngest daughter – but being unwelcoming to others. As far as the situation you’re suggesting, that wouldn’t be unwelcoming at all! I would love to serve alongside folks to show them how to love and include my child well. That’s exactly what I mean when I wrote, “I would expect, hope, wish, pray that they would be willing to love us enough to try to learn.” You gave a perfect illustration of what that might look like. I would NEVER drop off my child with an expectation that any church would automatically know how to include my daughter – who can’t move, see, or communicate like most kids her age – without my help in doing so. If that’s what you thought I was saying, then I understand your pushback and concern. My friend and colleague Mike shared a similar experience in this post from a few years back, also on this blog: https://drgrcevich.wordpress.com/2011/03/23/thinking-orange-a-parents-perspective-mike-woods-from-making-room/ Except in his case, 30+ churches said no. 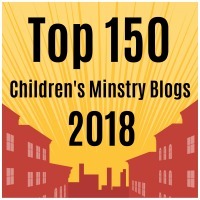 Finally, please know that I am writing as a children’s/youth ministry leader turned special needs ministry leader nearly a decade ago turned special needs mama as well about three years ago… so I’m not writing as a special needs parent who is ignorant of church challenges or limitations. I get that. I don’t expect a “yes” to my family to be without mess. Ministry is messy, yes. And special needs parenting is messy. But when special needs parents are willing to enter the mess of ministry to help others include their child while ministry leaders and volunteers and friends are willing to enter the mess of special needs parenting to learn, then beautiful things happen as God’s people join together in affirming his design for the church. I interpreted some of the same things as Craig did, so I understand him asking for more follow up. My son has high-functioning autism, so I’m not unfamiliar with that side of things. I’ve also been a teacher in a classroom with children on the spectrum or other physical or unseen conditions that impact them and how they can be best included. From the teaching side, I ask for and welcome any suggestions for behavior management and ways to be inclusive or to help the environment be less troubling! I get frustrated when a parent refuses to offer up any suggestions though, as has happened in the past. To be fair, sometimes parents don’t know because of a recent diagnosis, change in situation (we’ve also fostered, and goodness knows we sometimes get insanely little info to go off of! ), etc. That’s fine. Please though, communicate something to me when I ask, even if it’s simply that you have no idea what to do or try. In turn, if I as a teacher find something that sets off or pleases a child, I will try to communicate that to a parent because sometimes we don’t see the same things at home as in a church classroom setting, and it can be helpful to get these nuggets from teachers. As a parent of (granted it’s considered by most to be an “easy” form) a special needs, kiddo, I can’t imagine why parents wouldn’t give me the best shot of helping their child as possible. As you have done, I am basing this off of my personal experience. When we were trying churches via VBS, we have had some that didn’t directly say don’t come back, but it was implied by every non-verbal form of communication, and that is frustrating, alienating, and hurtful. Even giving them info to work with, though it was little because we were still learning ourselves at the time, they didn’t seem to try too hard. But please don’t assume all parents of special needs are giving their child the best chance. If a parent assumes the church should just know all about how to do it with little-to-no guidance, it sets everyone, especially our great kiddos, up for failure. Biggest thing- do your(our) best to love others, be honest with expectations, offer to provide as much information as possible, ask questions, and pray for both sides of these situations. Love to both the parents and the teachers. YES! We were super thankful for Thrive Church. I remember Keith saying, “That’s it? That is all you need?” Yes. I’ll confess one of my not so proud moments. We had visited a large well known church in the Richmond area and Xander was turned away from his age’s classroom. “We can’t support him here, he can go to the 2 year old class though.” He was four. Cognitively he was FOUR. He was wearing a pull up because after all his stomach issues we had a hell of a time completely potty training him. We had even ASKED that the preschool workers please page us and we would change him. Fast forward to the sermon. It was all about acceptance and loving people where we are. I nearly vomited in the pew. All I could hear was “Unless you have a pull up on. Then we won’t accept you.” I heard it over and over in my head as I tried to listen to the sermon. I’ve never gathered my children and left a church so fast. When we got home, before I changed out of my church clothes (this is how you know it is serious folks!) I grabbed my computer and found the pastor’s email and let him know how despite what he was preaching, the head of the nursery was teaching a much different doctrine to the parents as they checked their children in. And to top it all off, Xander didn’t even need his pull up that day. I was hot. And I chewed that pastor up one side and down the other. Not so proud of that moment. But I PRAY that despite my righteous anger that he saw the hypocrisy in his message that day. We never returned to the church to find out. And THAT, my friends, is one way we lose Christians at an alarming rate. We have a similar story from an experience we faced once. We did work with the church through that rough spot, but my heart still aches a bit thinking about how it felt to be turned away. Hugs, fellow Mama Bear! Did the pastor reply to your message? I am so, so, so sorry. And as far as the liability excuse goes, all ministry comes with liability. People are messy. That means church is messy. Messes come with liability. So if you want to have no liability, then you ought to close the doors of your church and walk away… because that’s the only way to avoid liability (the earthly/legal kind, that is. I have a feeling God would hold that action accountable in a whole ‘nother way when we stand before Him). Brandy…I sent you a message through Facebook. Let me know if our crew at Key Ministry can help you find a church prepared to welcome your family. 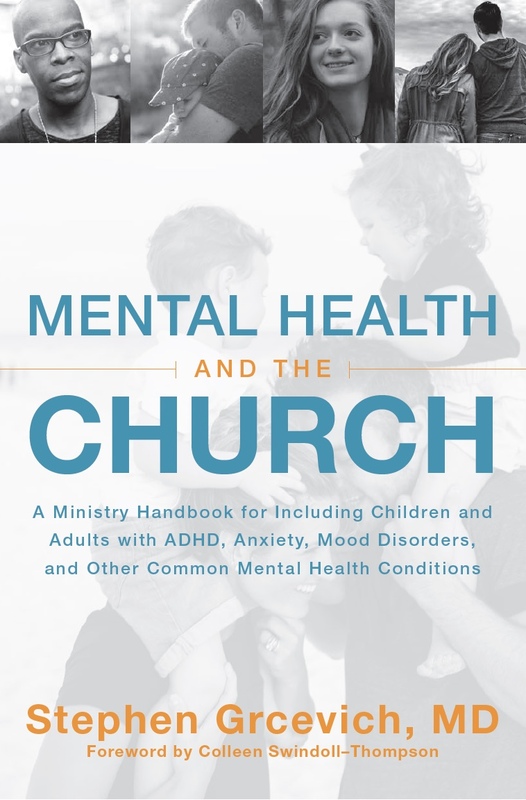 In 29 years in child psychiatry, I’ve NEVER been asked to write anything for a church before they would agree to minister to a child. Wow. Well, oops. I actually hit post before I finished. Anyway, it was the final straw for me because at the heart it was a GOSPEL issue. If the gospel isn’t GOOD NEWS for all –even my son! — then whatever gospel that church preaches is not good news period. And it’s certainly not the gospel of Jesus Christ. Thank you, Shannon. You rock! YES x1000 to this: “If the gospel isn’t GOOD NEWS for all –even my son! — then whatever gospel that church preaches is not good news period. And it’s certainly not the gospel of Jesus Christ.” Exactly. From this post, it sounds like you guys have found a place that welcomes your son. Have you written anything more for some of the folks posting here who don’t even know how to start looking for a church, or are too afraid to try as a consequence of past experience? No, I haven’t. At least not yet! I have several things in the works but it’s hard because it’s such a sensitive topic & still so fresh for my family. We are at a different, smaller church now that doesn’t have a formal special needs ministry, and yet has a very welcoming congregation. And it’s a different denomination. I think it’s important to keep an open mind about that, even though I was hesitant at first. So I would encourage families to think outside the box because church doesn’t have to look like what you grew up. Church is where you can be yourself & still be loved, accepted, & welcomed. Unfortunately for special needs families, those churches are often much too hard to find. My family was attending a very large church in our area, and I set up a meeting with children’s leadership to say that I was willing to spearhead a special needs ministry so that parents could attend service, even if their child needed one on one attention during that time. The children’s pastor did not show up to the meeting. When I contacted him again, I heard about it not really being the place/time/heart of this church right now. It made me so sad. We had attended a church in another state with that sort of program, and it was fantastic for so many people. We ended up leaving that church soon after, mostly for other reasons. But the lack of desire to minister to a segment of God’s loved ones was definitely one of the proverbial straws. Christ, this sounds like almost exactly what I went through at my previous church. I was eager and willing to do all the legwork, but it just wasn’t a priority for that church and I was shut down. We left soon after as well. And I meant to type Chris, but as you can see my fingers prefer “Christ”! Haha! I have worked diligently to convince my local church that a special needs ministry is the right thing to do for everyone. We attend one of the nation’s fastest growing churches. As a family, we began when my son was just a newborn. We went for a while, then all of a sudden, before he was even a year old, we began getting calls to pick up our child during service. He cried, screamed and was inconsolable throughout the hour long services. They didn’t really encourage the idea of having our son sit in the service, since it is broadcast to multiple locations, and a crying baby could be heard in multiple cities. It became very apparent that services was simply not something we could attend. We left. we tried a few other churches, but nothing worked. Flash forward to a year later, our son had been diagnosed with Autism. My husband and I were lost spiritually and emotionally. So, one day, I said, let’s give this church another chance. Let’s explain his diagnosis and see if they are willing to help or have other ideas. They put him in his age group at age 2 and we discussed what we had learned on calming techniques with a wonderful volunteer. He had since blossomed and loves to go to church. We became very involved and beloved among the volunteers. We also volunteer as a family within the church, as we as a family have a lot to give! I began researching and found that we were not alone when it came to church and disabled children. It took 3 years, but finally, they opened up a sensory friendly room. I was thrilled! My son has benefitted, but when I mentioned letting other families know, I have hit roadblock after roadblock. Currently, the only one who comes to this room is my son, but there are not many options locally in my city of 250,000 for church and special needs children. The room cost the church a pretty penny, no doubt! Staff has changed since way back when this push for the special needs room began, and now the newer staff just don’t see the need, or have liability concerns, or not enough volunteers or a litany of other excuses as to why they do not see any “need” to do anything other than have this special room available to my kid or any other kid within the congregation they already serve. If they could only see what I already do…. The special needs community is grossly underserved. One thing I have learned in life is that things take time. For now, if I have to reach out and share the Word of God on my own, then, that is just what I will have to do, one family at a time! I do hope that there would be a special needs ministry in my city, but the wheels of this idea are grinding ever so slowly!